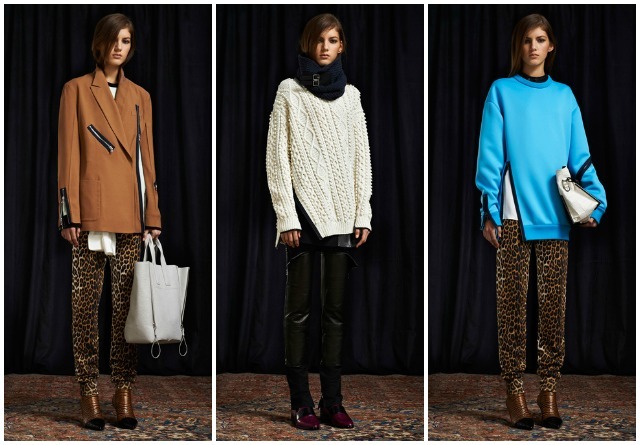 3.1 Phillip Lim: His pre-fall girl is basically a biker chic with a hell of a sense of style. Oh, and a thing for animal prints. (Methinks this collection has Alicia written all over it...) I love the oversize knits with bold zipper detailing and the color pairings are a nice change from all that oxblood we saw in 2012. Jason Wu: From downtown chick to uptown lunch, glamour girl and back again - is there anything Jason Wu can do that I wouldn't be obsessed with? Leather pants, gold sequined gowns and fur-trimmed hoods make for a collection I love from end to end. 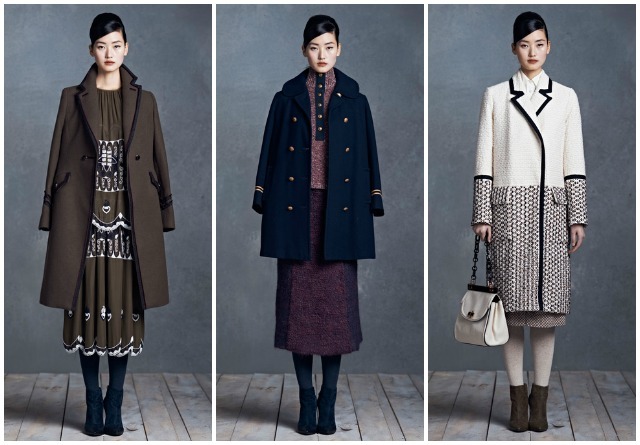 Tory Burch: One word: jackets. Tory's military-inspired collection (with a slightly ethnic twist in the textures and prints) is topped off with some of the most covetable jackets I've ever seen. These three were particular heart-stoppers for me, with their leather-piped labels and menswear-inspired shapes. Perfect. Ugh omg that white Tory Burch jacket - I'm dying. Love it.